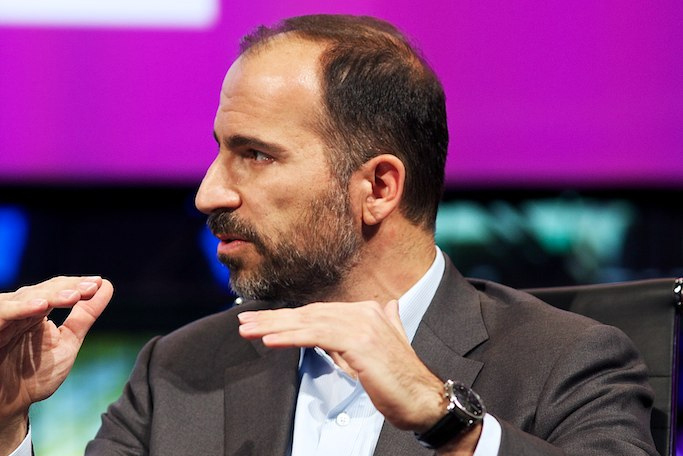 Uber has confirmed the appointment of Dara Khosrowshahi, the chief executive of Expedia, to be the taxi-hailing app company's new CEO. But should the company have hired a woman instead? Khosrowshahi, who told US media about the appointment over the weekend, replaces co-founder Travis Kalanick who resigned in June after pressure from investors. Khosrowshahi has been chief executive at Expedia since 2005. The travel site now operates in more than 60 countries. He came to the US when he was nine years old, after his family fled Iran on the eve of the Iranian revolution. Among his first duties will be to improve the company’s work culture and diversity after allegations of sexual harassment prompted a scathing 13-page report about Uber. Nadya Powell, co-founder of Utopia, a business change consultancy, and Innovation Social, said what Uber needs more than anything else right now is "diversity of thought". She explained: "[The chief executive] is building a global business after all.... On paper it looks like he will have diversity of thought in spades – he is child of the global economy and undoubtedly qualified. "And then let's question the progress. All too often businesses default to hiring the 'best person for the job' when in reality they should be hiring the 'best person for the team'. Right now there are a great deal of hurt, disempowered people in Uber, and far, far, far too few women." But should Uber have hired a woman? Powell believes a female chief executive, after the accusations surrounding the company under Kalanick's tenure, would have had a "more authentic, natural and immediate approach to healing the divisions rife within Uber". Shira Ovide, technology columnist for Bloomberg Gadfly, said she believes Uber would have preferred to hire a female chief executive but gender was one of many criteria the company's board would have sought. "[Hiring a female chief executive] would have sent a strong signal that the company is serious about changing its culture. But Uber's board had a long list of other criteria as well, and I’m sure there was no single person who had every quality the board wanted," Ovide said. She added: "Dara Khosrowshahi now has one of the toughest jobs at any big company. He needs to win back credibility with drivers, calm employees shaken by months of scandal, figure out how to deal with warring personalities at the company, figure out where to prioritise Uber's investments and prepare the company to go public." Khosrowshahi will now be judged on whether he can now "steady" Uber after its recent controversies. But what if he can't? "If he can't, I suspect most of the blame will fall on Travis Kalanick and other longtime executives or investors in Uber," Ovide said. In a statement, Uber said Khosrowshahi would meet with staff for the first time today for an "all hands" meeting. An Uber spokesman added: "We’re really fortunate to gain a leader with Dara’s experience, talent and vision. "The board and the executive leadership team are confident that Dara is the best person to lead Uber into the future building world-class products, transforming cities, and adding value to the lives of drivers and riders around the world while continuously improving our culture and making Uber the best place to work."